Update: A newer version of the Ultimate RSS Feed Collection for Israeli Job Seekers is now available. One of the technologies that has proliferated like wildfire in the past few years is RSS. Its XML-based flexibility allows programmers to manipulate it so easily that services like Yahoo! Pipes have now sprung up permitting non-programmers to do the same. Its simplicity has led to RSS feeds being generated on countless sites across the Web, including many jobsites. Now it's time to make them work for you. Don't bother subscribing to each feed separately, you'll see why at the end. Israemploy Hot Jobs – Israemploy.net publishes a list of jobs that have just been announced, covering any field. LaunchPad Israel Hot Startup Jobs – similarly to the above, LaunchPad Israel has a feed of recent openings but these are specific to the Israeli startup. LaunchPad Israel Craigslist Tech Jobs – another feed from LaunchPad Israel, this feed aggregates all Israel-based job openings posted on craigslist.org. Job Central Israel – This feed is of a search result for Israel-based jobs in the JobCentral database, mostly hitech jobs. Vast – Jobs in Israel – Another feed based on search results, Vast covers many industries beyond hitech including health and business. Thanks to Adrian Wajsbrem for this one. The Jerusalem Post also has RSS feeds for jobseekers, and a nice form from which you can generate a custom RSS feed based on a search. Unfortunately, no results come up for Israel but if the situation changes you can see for yourself here. Forum for Twins & Triplets – The Association of Twins & Triplets publishes this feed of job listings for babysitters and baby caretakers. HotJob.co.il – An extremely active feed of job listings of all types. XPlace New Projects – Xplace.com is a website for freelancers and not just in hitech! They have many feeds but this one covers all new projects, including hitech, design, marketing and others. The entire listing can be found in English or Hebrew. Pocket.co.il Communities – This feed is generated from posts, mostly job listings, in the Pocket-Kehillot Drushim forum. Nana’s Unemployment forum – A feed of the reactions in Nana’s Unemployment forum, sometimes jobs are posted or requested here. Work & Work at Home Forum – A Tapuz forum covering work and home businesses, job openings are occasionally posted. Danel, working with a smile – This feed of job listings is mostly aimed at university students. Home Helpers – A feed of want-ads for ‘hired help’, experienced cleaners and occasionally babysitters. 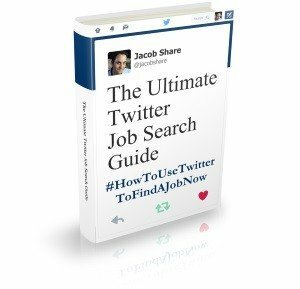 Jobnews – This feed is basically a dump of all search results from the Jobnews website and covers many industries. Very active. Iron Moznayim – The first blog by an Israeli HR company, it is no longer very active. It's a good thing you didn't waste time subscribing to each feed because they're all available from the JobMob Bloglines account where you can browse each of them. You can even download the opml file for quick subscription to the entire list of feeds. Did I miss anything? If you know of any other RSS feeds for the Israeli job seeker, please tell us in the comments so that I can include them in the list. Find this guide useful? 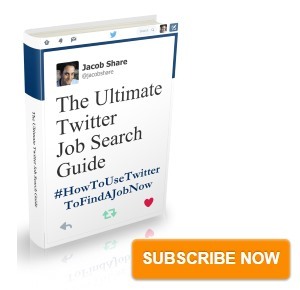 Subscribe to JobMob via RSS or email for more ultimate guides for the Israeli job seeker. looks like a good place to go also if you need to employ off-site IT workers. Thanks for the extra tip, Adrian. natali- Thanks for the feedback, I’m always trying to find ways to make the site load faster. Next PostHow Can You Be Part of the JobMob Community?